Olá from Portugal! Following an amazing trip around the United Kingdom, I have just embarked on my first solo journey in the vibrant city of Lisbon. Admittedly I was a bit worried about this leg of the trip, but spending just one day here has dispelled all fears. From the welcoming people to the quietly beautiful streets, I am already in love with what this city has to offer. The spring-like weather is absolutely an added plus as well. 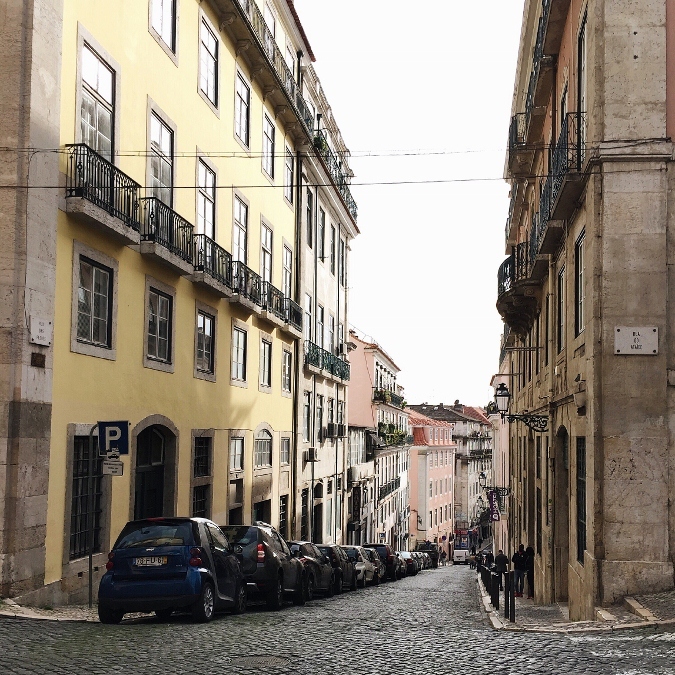 As I mentioned earlier I will be posting more detailed recaps once I return home, but I could not wait to share some photos from my first day exploring Lisbon´s central districts, Bairro Alto and Chiado. Above is a photo looking onto Rua Augusta from the Arca Triunfal. Enjoy! Portugal is on my To-Visit list and hopefully will be soon. Your pictures from Lisboa/Lisbon are amazing! Happy Friday Lau, enjoy your holidays! You must visit one day! It is such an incredible country! Wow Lisbon is beautiful. Don't you just love it when you visit a city and people are very friendly there. Have fun and I look forward to more pics. The people are just amazing! I need to go back one day. I love symmetrical photography and that first photo is amazing! Can't wait to see more from you Christina. Really gorgeous photos. Hopefully I'l be going to Lisbon this year. 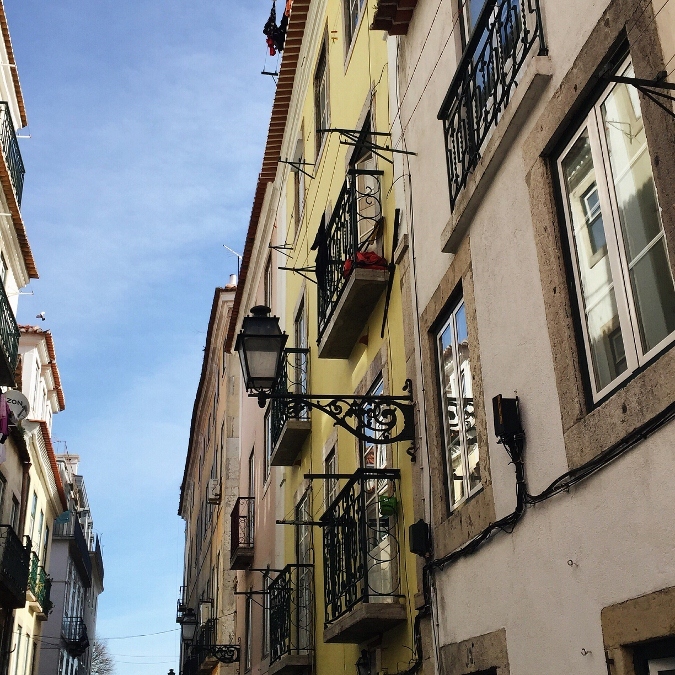 Breathtaking views!Lisbon looks so beautiful to explore at! I love the 1st photo. What a lovely adventure in Lisbon. Oh my! Everything looks so beautiful! I'd love to visit Lisbon someday! OMG, i love Lisbon, it is a beautiful place with lovely people and food. I am in love with the city!! Loving the photos!! Looks like an amazing place! It looks amazing! I am so jealous of all your travels! What do you do? I just graduated and don't start work until the end of March, so I took a month a travel! Lucky girl in a gorgeous city :) Beautiful shots.. The city is absolutely gorgeous! Love the pictures! omg!! these road/alleyway pictures are stunning!! i can totally get lost here just taking pictures forever!! thanks for sharing. Isn't this city just beautiful?! Wow Lisbon looks beautiful! 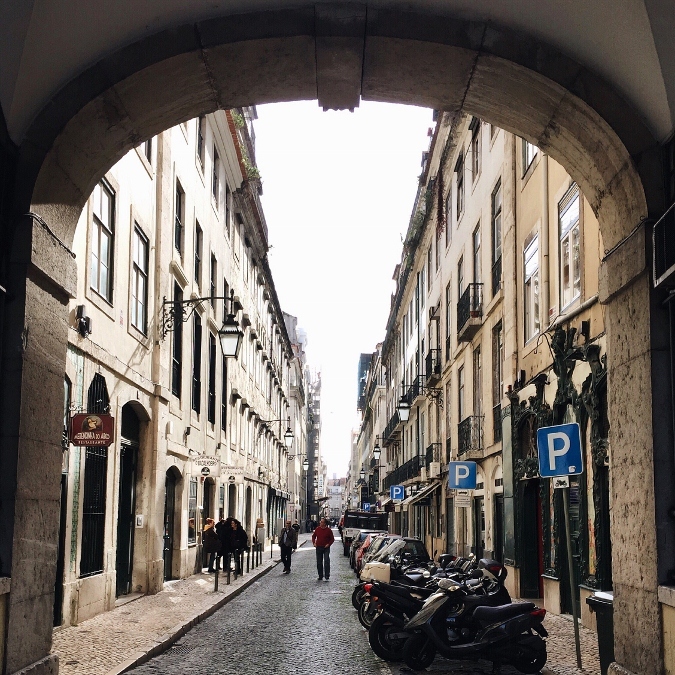 Are there any places you'd recommend visiting in Lisbon? Beautiful photos!! Totally took my breath away :D Makes me sad to be sitting here studying, but I'm glad you're having a great time, love! It is an incredible city! Porrtugal ! My favourite country in Europe ! Can't wait to visit Lisbon this summer ! Love the scenery and the photos! Another great post, have fun! beautiful photos. this is def on my bucket list. until then...I will vicariously through your blog.